Anyone that has been watching the news in the majority of the world recently will know that only a couple of months back Cyprus bank depositors were forced into having a haircut (a trim of their savings, not their head!). This was due to years of Government overspending and foreign investments in Greek bonds by the islands two largest banks, both of which would have been prevented if logical people were running the country and banks. Anyway this is a hot topic and a long debate but what I want to highlight is that I am not surprised that Cyprus had landed in the dog sh!t after my experience trying to register a .cy domain name. Over the last few years I have had my share of dealing with the local authorities here in Cyprus and one thing is for sure, they have no desire to do things smarter or more efficiently. Recently I had the requirement to register a .cy domain for a client. Usually registering a domain with any country code (except Cyprus) is a 5 minute automated process. As long as you can pay electronically its a done deal and everything is configured within minutes. 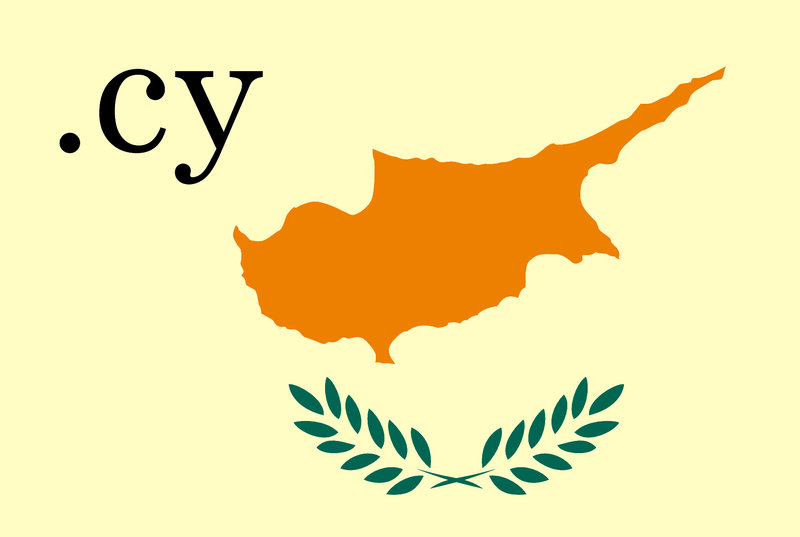 In Cyprus however they have not appointed any registrars to resell domains on their behalf. Instead if you want a domain you must visit the nic.cy website and complete a form with your details. I did this and after 24 hours phoned up to see what happened. I was told that they had received my request and the domain name was going to be put to a committee for approval!!! What?! I wasn’t registering anything offensive, that could be subject to copyright or anything slightly dubious; it was a unique name of a spa. I waited 5 days (which admittedly did include the weekend) for them to come back to me, which has delayed certain parts of a web build. Then what I received by email was an application form that needed to be printed, completed by pen and signed by either the registrant or the administrative contact. Also, we had to list the company registration number that it was going to be registered for and if it was for an individual they wanted either a passport number, Cyprus ID, or Cyprus permenant residence permit ID. Not only did we have to provide the details but we had to provide actual copies of this documentation, which in our case was the company registration certificate. In addition to this only a Cyprus resident or company is allowed to register a .cy domain.�I had to contact my client again and visit the premises to photocopy the company registration certificate. Finally, after getting everything together and having all the forms completed I sent in a scan of the application form along with the company registration certificate by email. In the form though I had to check a box to say whether I wanted to pay by credit card, cash, cheque or bank transfer. I chose credit card but had no idea how they would take my payment so in the email I asked how I could pay by credit card. I was they sent a link by email to Cyprus’ main payment gateway and that was straightforward. �After paying I sent an email informing them I had paid for the domain and I asked “Can you let me know when the domain will become active?”, the response I got was�”Yes ofcourse” period! What kind of an answer was that?! Even worse was the fact I got no notification that the domain was registered and had to go into the nic.cy database on their website a day later to see that it was registered for myself. This process start to finish took over a week!!!!! To register a domain!!!! Now, if you are a web developer and have any experience of registering a .com, .co.uk, .it, .pl etc or any other type of TLD you will probably understand my frustration at this drawn out process. The University of Nicosia manages the .cy domain registry and they probably employ people to manage this stupendous manual process that just about every other registry in the world has automated, even in the most backwards of countries. They also seem to want to restrict registrants to their own people and companies, which on the positive side increases the credibility of the TLD but it is not standard practice with any other TLD that I know of in any country around the world.�This is a fantastically great example of why Cyprus is now in hot water as all of the public services in Cyprus operate with the exact same ethos; it drives me bananas!